The first thing that comes to your mind when you talk about search engines is Google. It is undoubtedly a person’s favourite search engine that has the ability to solve almost any and every query. Google has been in the game since times eternal. Any person using an electronic device for the first time, or wanting a last resort to a query that couldn’t be solved through other non-electronic options, resorts to Google in the end. It is probably every person’s second favourite word, after their own. However, in the process of making Google the ultimate problem solver and finder, we tend to neglect other wonderful options like Bing and Yahoo that could probably be of improved help and generate unique results. So here comes a search engine that’s not very common – Bing! There are a lot of other search engines like Yahoo and Bing. Out of these two, Bing has been crossing milestones lately. Google has always been dominating any kind of SEO conversation, but in order to have a solid SEO strategy you need to take Bing into account as well. The strength of Bing and Yahoo together dominates 30 % of the market share for search. On the other hand, the paid search share of the network is expected to continue its trend of upward growth as it is increasingly gripping the attention of all those who are looking forward to having a wider audience and a larger response. 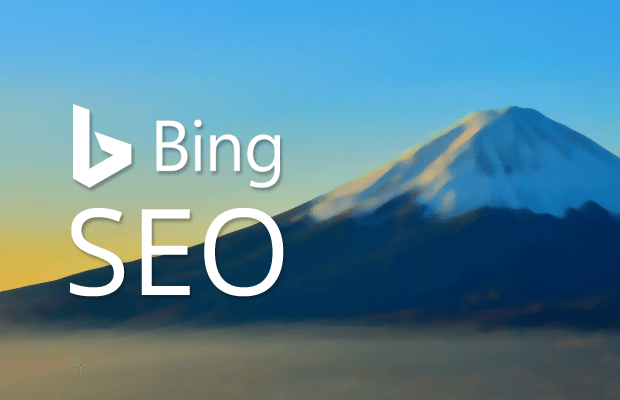 The best part about Bing is that you don’t have to completely start from scratch to optimize the wheel, albeit there are a few factors and budding changes that are best if considered. There are a few similarities between Bing and Google. However, there are a few noticeable changes between the two too. Thing brings up the question of how Google SEO is different from the Bing SEO. The biggest reason why optimizing for Bing is a better idea, is because so many websites are busy focusing on optimizing only for Google. In this rat race, you can actually put yourself ahead by using Bing and positioning your business to reach number one in front of all the other businesses that are completely ignoring it. 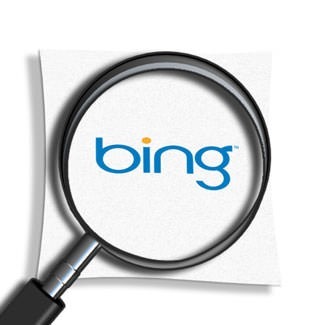 Nearly 30% of people use Bing. That’s a lot of attention to the businesses that are optimizing for it. There are a few differences in the demographics between the people who use Bing and those who use Google. It is always sensible to consider the part of the country and find out which place is more likely to use Bing over other search engines for optimization. The major drawback about Google is the much known fact that it keeps changing its algorithms. This makes it tough for the companies to adapt to these changes. Even if these changes lead to the downfall of your business in the world of SEO, it is a reassuring fact to know that your business is still doing great on Bing and still continues to reach a wider audience by expanding its horizon. All the top brands are likely to rank higher just the way they do on Google. Social signals draw a parallel with higher rankings. Back-link figures are closely allied to higher rankings as well. Relevant and quality content are extremely essential for search rankings. On page technical factors play a vital role. That being said, it tends to give ranking preference to brands compared to the other domains. Both Bing and Google seem to consider it typical for brands to have more backlinks with the name of the brand in the in the link text alone. These links are known as “brand links”. It often favours older websites with more official domain names, such as .gov or .edu, compared to the newer, commercial or popular websites that obtain the favour of Google. This makes it obvious that Bing is more inclined to favor more factually pertinent results over socially relevant sites, albeit that also depends upon the target audience. Bing tends to put more light on the social media signals, probably because it’s the new search engine and so when a user searches on it, they immediately get to know if a Facebook friend or Twitter follower has suggested or rated the company or product mentioned in the search, as well as find related Pinterest boards when searching for images. With respect to that, even Google hasn’t been able to integrate social media into their search results that well. Even though Bing puts high emphasis on social signals, back-links are equally important. Sites that have more back-links seem to rank higher and better with it. However, the qualities of those back-links are a lot more important than the quantity. It offers a helpful link explorer tool to help understand the value of the links on a given page better. However, the saddest part is that it is still a few steps behind Google with regard to how intricately they evaluate these link features. It actively removes pages from their index if they do not have enough link authority or value to rank on their search results. This means, that in order for a page to preserve a place in Bing’s index, it must have at least one external website link to it. Bing appreciates relative and quality content just like Google. However, it tends to prefer pictures, videos, audio and more due to “entity understanding”. On the other hand, Google tends to prefer more of text based content. It is better off with sites that use flash, whereas Google pays no attention to this. In the context of local searches, Bing tends to show more small businesses, assuming the searcher wants the most proximal results. However, Google tends to be in favor of larger and more established companies, thus giving preference to what it sees as the most credible results. Businesses with a local location for customers should treat Bing as an important consideration for their Digital marketing services. On-page technical factors for a website play an important role in ranking well on Bing just the way they do on Google. Bing has a strong correlation with homepages outranking internal pages in results to a reduced degree than Google. While there are many resemblances in the ranking factors considered by Bing and Google, there are enough differences to license making necessary adjustments to ensure that your site ranks well on both. However, Bing is adapting really fast to many changes by making adjustments and proving the way it functions in the world of Search Engine Optimization Services. That being said, you don’t want to miss out on optimizing for the next big thing.